Copper is one of this year's most coveted materials for home decor. 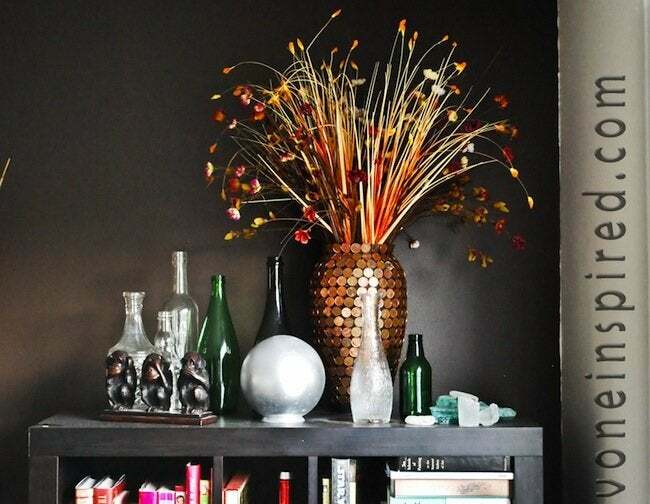 Here's one of the cheapest and easiest ways to get the look. When Canada phased out the penny, Vone from Vone Inspired got to work on a DIY project—an ode to the penny. Because they were being phased out, she ran out of pennies toward the end of her project, but you can hardly notice, right? Here’s a look at how she created this quick but fantastic project! 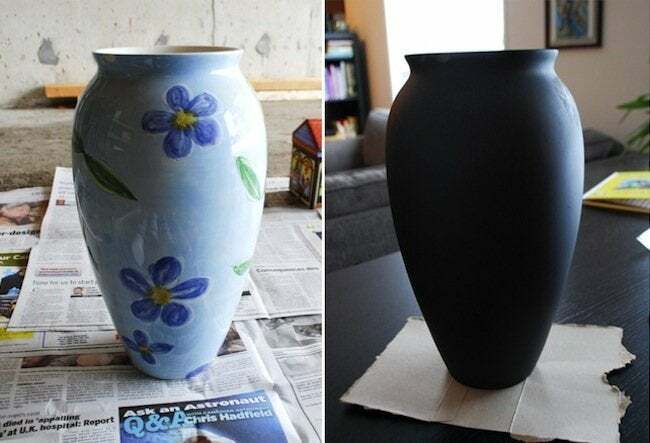 First I spray painted the vase with black and let dry. 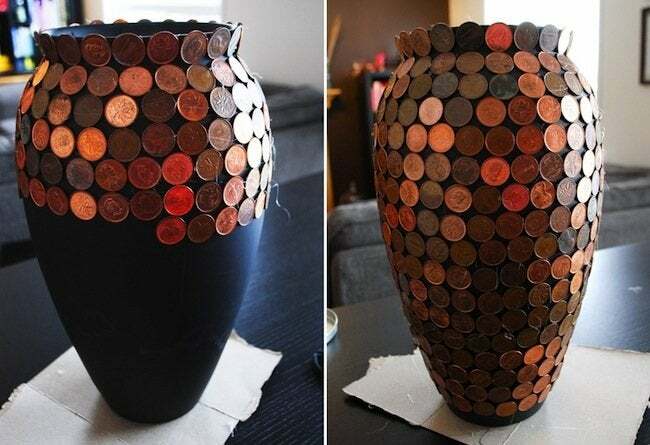 Then I found all the pennies we had in the house and started gluing them on. 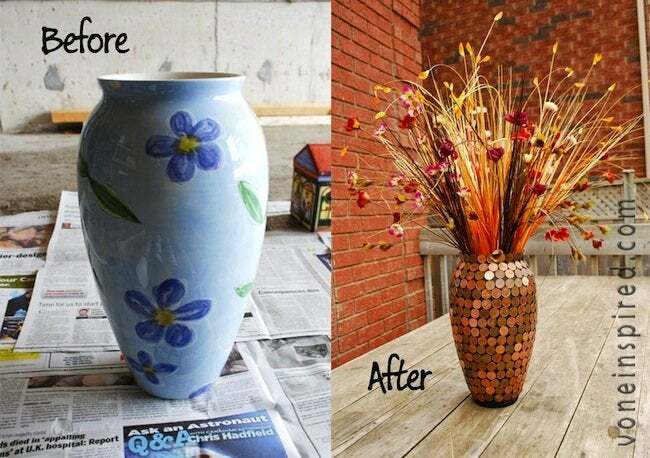 I used a glue gun and started at the top of the vase. I didn’t worry about the direction of the penny or what side I used (or if they were Canadian or US) just keep gluing, row after row. I ran out of pennies at the bottom, I hunted everywhere for more but when stores aren’t giving out pennies any more it was harder to find more. And now when it’s up on the bookshelf you can’t see the bottom anyway. Thanks for sharing, Vone! For more DIY projects, visit her at Vone Inspired.